Can Your Crowdsource What You Need to Fulfill Your Life’s Dream? What tools Do You Need? In the past, pursuing your life’s dream often meant compromising. You worked a day job to pay the bills and chipped away at your dream in your spare time. Maybe that meant saving a little bit every paycheck to start a business. Maybe that meant tinkering in your garage to perfect that invention, with the hope of seeing it on store shelves some day. 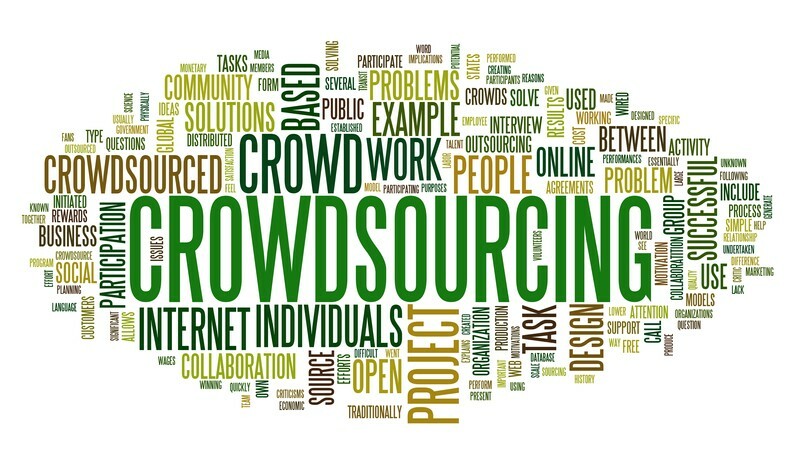 Crowdsourcing has changed that dynamic. You can, quite literally, sell your idea, secure content, or fund your business with direct support from an engaged community. On the surface, it sounds easy enough, but successfully using crowdsourcing to fulfill your life’s dream needs to be approached with a clear cut strategy. The idea can sell others on your dream, but success is a product of the minding the details. The first detail you need to establish is what you want to crowdsource. Are you looking for creative content, such as graphics, writing, or design? Are you looking for financial support through crowdfunding? Is what you need primarily help in driving traffic to a website? As a rule, the more specific your request for help is, the more likely that a community will come through for you? Once you know what kind of help you’re looking to secure, you need to choose an appropriate forum or outlet. If you have access to an established community, such as a fanbase, you can take your case directly to them, as Felicia Day did early on with her popular web series, The Guild. Your personal network can often provide you access to the skills that you require either at drastically reduced cost or for free. If you don’t have access to a fanbase or your personal network can’t provide what you need, you can take advantage of websites that provide crowdsourced work, for a fee, such as DesignCrowd or Elance. If your main hurdle is funding, you’ll want to make use of a crowdfunding platform, such as Kickstarter, Quirky, Indiegogo, or Crowdfunder. Crowdfunding sites impose specific demands and limitations. Kickstarter, for example, limits campaigns to creative projects, although it uses a broad definition of creative. Crowdfunder, on the other hand, caters specifically to those offering equity in a business and looking to raise startup capital. Before you try to secure anything through crowdsourcing, you’ll also need to determine what you’re offering in return and how you’ll deliver. If, for example, you’re endgame is to produce a limited-run comic book, what will your crowd-of-choice get in return for their support? Will you offer them digital or physical copies of the comic? If so, how and when will you deliver those comics? Who will be printing the comic and can they do it on your timetable? The most direct way to cover all your bases is to write a plan that sets out exactly what you want to do, when it will happen, and how you’ll make it happen. Include every detail you can think of and, when you think you’ve thought of everything, show it to someone else. Take note of everything they ask, and they will ask, and then find answers to those questions. By thinking the entire process through, choosing appropriate forums or site, and setting down clear goals, you can leverage everything you need to fulfill your life’s dream. It will be work, but it will be worth it.